After 250 UPS drivers in Maspeth, New York, were fired for protesting the termination of a fellow driver. So UPS driver Jairo Reyes, along with Working Families, created a MoveOn Petition to pressure UPS to reinstate them. 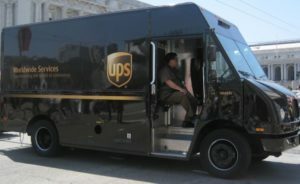 More than 48,000 MoveOn members signed the petition, and shortly thereafter, UPS folded under the pressure, giving all the drivers their jobs back.